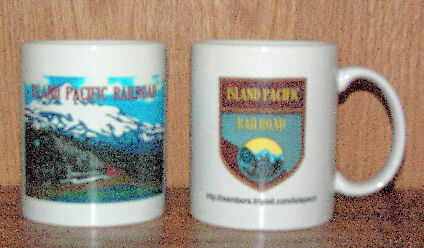 Welcome to the ISLAND PACIFIC RAILROAD website. The website deals with my G Scale garden railroad located in the gardens out back of the house and with my N Scale layout inside. It is graphic intensive with many photographs and can be slow in loading but please be patient, the pictures are worth the wait. The garden railroad has been undergoing expantion and improvements each year since inception and now has approximately 400 feet of track. This past year saw a new "old" trestle added and a number of new buildings in the village. The indoor layout has been torn down and construction on a new layout has begun. Pictures of the old layout are still on the site along with a few from the start of the new one. Further pictures will be posted as progress continues. 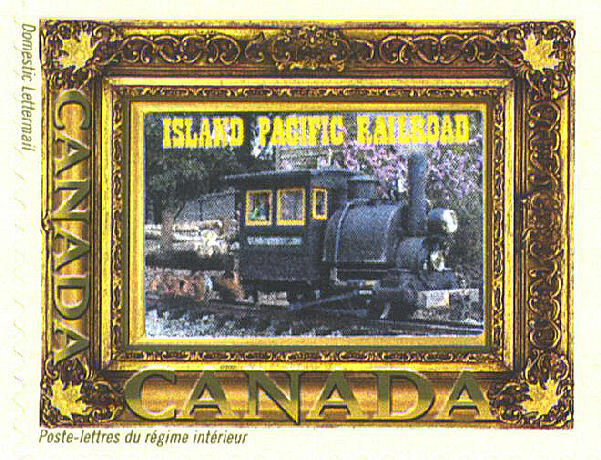 The ISLAND PACIFIC has been honored with the issuance of a Commemorative Postage Stamp by Canada Post. Be sure to look at our stamp page to see the stamp and find out how this came about. Please bookmark our site and come back periodically to see the updates and tell you friends about it.